How bad has Houston been? Gary Kubiak's mini-stroke only bought him a month. 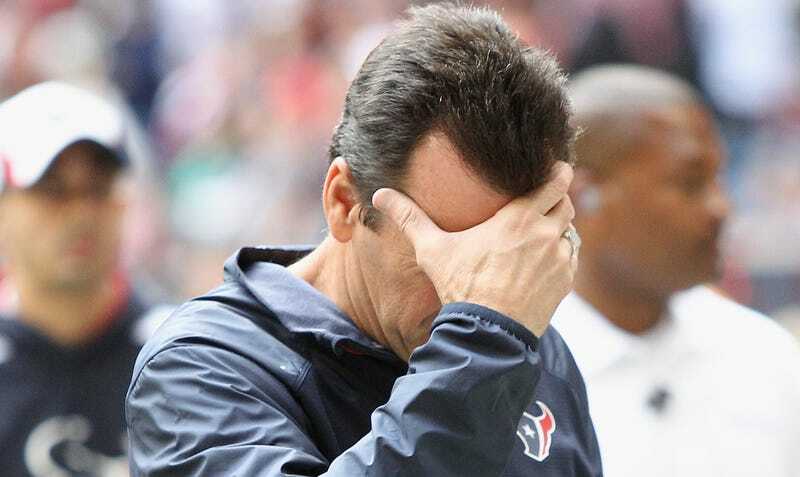 Kubiak, who's had the job since 2006, is out as coach, a day after the Texans' second loss to the Jaguars. "The last straw was losing," owner Bob McNair said. "We've got a lot better talent than Jacksonville."